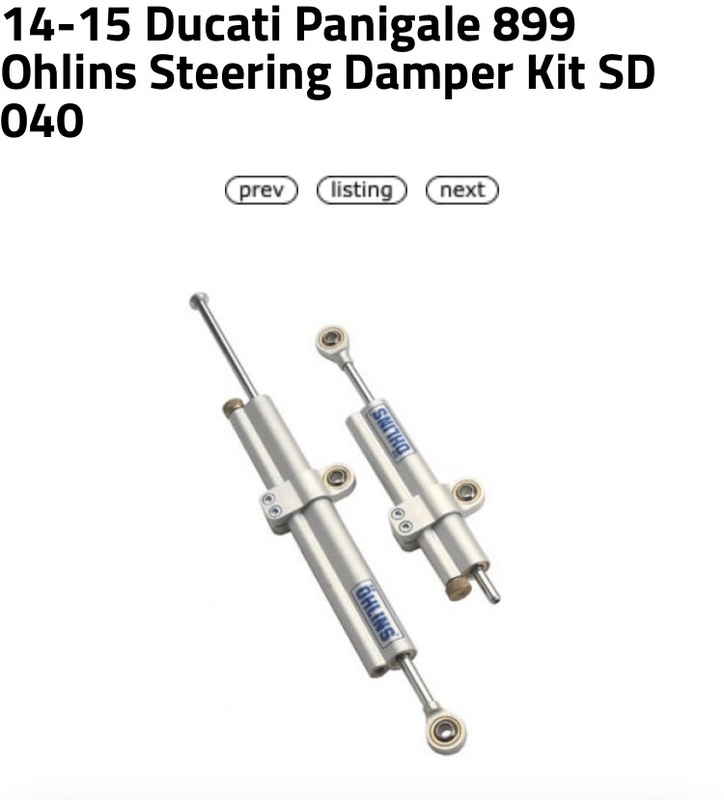 We have a group buy going on the 899 forum for the Ohlins Steering Damper. It fits the 1299, 1199, 959 and 899. So far we have 4 people. We can get the cost of the damper down to $300 out the door with 4 people. If we get the number of people in the group to 10 we can get the dampler at $280 out the door. And if we can get the number to 15 I think we can get $250-$260 out the door. Let me know if anyone is interested. We have 5 people in the group buy so far. is the information on the 899 forum?